The New York City Health Department, in concert with a state laboratory and the Centers for Disease Control and Prevention (CDC), has announced that the source of the Legionnaires’ disease outbreak in the South Bronx area has been identified and that the outbreak is now over. Sampling of cooling towers and bacterial testing have managed to successfully match the strain of Legionella bacteria found in the patients with the strain found in the cooling tower of the Opera House Hotel. Epidemiologic and environmental investigations have further confirmed the hotel’s cooling tower as the origin point of the outbreak. Identifying strains of Legionella is not a speedy process. Even if bacterial samples are taken from patients, they must be grown in a culture to provide enough to properly analyze. 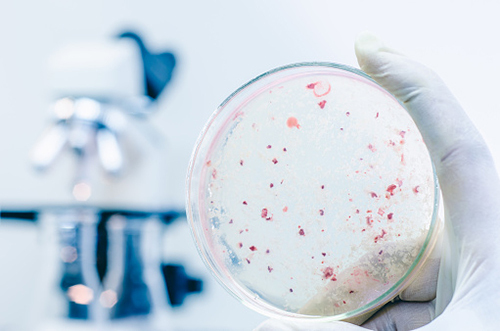 Since Legionella is notoriously difficult to grow in a culture, the process can sometimes take several weeks. To partially offset this delay, three different sequencing methods were used to establish a genetic profile to compare to cooling tower samples. For its part, the Opera House Hotel has been fully cooperating with the health officials. All parties are now investigating what led to the cooling tower becoming the outbreak’s source. Current theories are inadequate maintenance or that the level of biocide (like pesticide for bacteria) used in the tower may not have been enough. The cooling tower was fully disinfected and cleaned following its identification. To date, all cooling towers within the outbreak area have been disinfected and all towers within the city are being evaluated. Although Legionnaires’ disease can have up to a two-week incubation period, the last case was reported on August 3. Now that over two weeks have passed, officials are confident in declaring the outbreak over. In total, there were 124 reported cases of the disease and 12 deaths. “Health Department Announces Source of Legionnaires’ Disease Outbreak in South Bronx, Declares Outbreak Over,” New York City Department of Health and Mental Hygiene web site, August 20, 2015; http://www.nyc.gov/html/doh/html/pr2015/pr034-15.shtml. “NYC Legionnaires’ outbreak declared over; Opera House Hotel ID’d as source,” Outbreak News Today web site, August 21, 2015; http://outbreaknewstoday.com/nyc-legionnaires-outbreak-declared-over-opera-house-hotel-idd-as-source-93934/.